The duty to bargain in good faith under both PERA and the NLRA requires the parties to negotiate so-called mandatory subjects once they have been proposed by either party. In addition, MERC has consistently held that a union has no duty to demand bargaining over a unilateral change when that change is presented as a fait accompli. 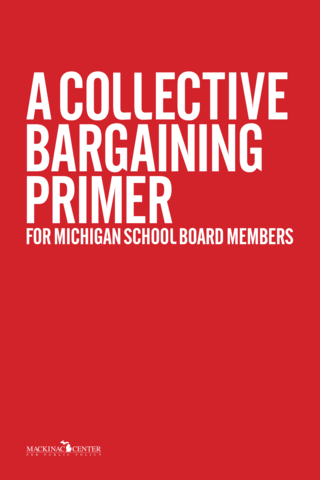 Accordingly, a school board can violate its duty to bargain by altering the mandatory subjects of bargaining without first giving the union notice and an opportunity to demand bargaining at a time when meaningful bargaining can take place. When good-faith negotiations fail to produce an agreement on the mandatory subjects, either the school board or the union may unilaterally request that MERC mediate the dispute. It must be kept in mind that this duty to bargain only pertains to the mandatory subjects. Unions often indicate a desire to bargain about matters beyond these mandatory subjects, but a board is allowed to decline this request. "[S]uch subjects as hourly rates of pay, overtime pay, shift differentials, holiday pay, pensions, profit sharing plans, rental of company houses, grievance procedures, sick leave, work-rules, seniority and promotion, compulsory retirement age, and management rights clauses are examples of mandatory subjects of bargaining." Other mandatory subjects include class loads, election of textbooks, retirement incentive plans, subcontracting out exclusive teacher bargaining unit work, instructional time, extracurricular duties, schedule changes in preparation time and length of the school day, and the criteria and format of teacher evaluation. A public employer’s decision to lay off employees is not a mandatory subject of bargaining, but the impact of that decision is subject to bargaining, particularly with respect to the working conditions of remaining unit members. It is important to note that teachers with tenure may enjoy protections from layoffs that go beyond the collective bargaining agreement. The fact that teacher layoffs are not a mandatory subject of bargaining leads to an interesting observation: Michigan’s collective bargaining law and the corresponding dynamics may actually work to encourage teacher layoffs as the favored solution to school funding dilemmas. It is easy to contemplate situations where it would be far easier for a school board grappling with budgetary pressures simply to call for layoffs than to negotiate an across-the-board reduction in teacher compensation. From the union perspective, the needs of the group might well outweigh the needs of the few teachers being laid off, further encouraging layoffs as a favored solution in a budgetary crisis. There is no requirement to resolve any particular mandatory issue before another. In fact, a party may violate its duty to bargain in good faith by insisting on the other party’s agreement on a single mandatory subject of bargaining before agreeing to meet on any other issue. [v] Likewise, PERA has been interpreted to prohibit school boards or unions from insisting that resolution of a nonmandatory subject be a prerequisite to continuing negotiations. Finally, it should be kept in mind that a term or condition of employment can be established through past practice, even if the collective bargaining agreement is silent or ambiguous, so long as there is a "tacit agreement that the practice would continue." However, where the agreement unambiguously covers a condition of employment that conflicts with a party’s past behavior, a higher standard of proof is necessary before a party will be deemed to have modified the written contract through its past actions. For example, in one school district an allegation was made that because the school board had a past practice of acceding to unilateral changes made to health care policies after the enactment of the agreement, this practice should constitute a blanket waiver for all changes. The court rejected this allegation, however, finding that because the parties have a duty to bargain on health care policy, there must be proof presented that the parties knowingly, voluntarily and mutually agreed to new obligations beyond the terms of the agreement. [v] See Kellogg Community College, 1969 MERC Lab Op 407 (the employer refused to meet and discuss other terms of the contract until the union agreed to the school calendar).